Just getting warmed up. 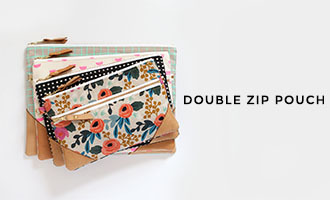 . . with a Giveaway! It's been a bit quiet here on the ol' blog. Time to remedy that. I've got some cool stuff lined up for the next week or so and to start I've got an awesome giveaway in store for you today! Bribery, anyone ? As a lot of you know, aside from sewing and blogging, I also chase a 2 1/2 year old little girl around all day. She's growing up faster than I can keep up with. An opportunity for her to start a daycare school program 2 days a week presented itself and after some clingy mama worrying, I decided to go for it. She starts in August and I'm hoping that will give me some extra time to really get the shop and blog into gear. We shall see! Also, it's becoming quite apparent that it is time for her to move into a big girl bed. She's become a crib escape artist. I've got a few toddler beds in mind. . .
How cute are these?? 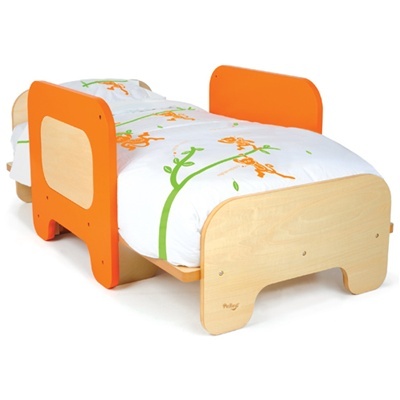 The first bed, a KidKraft Modern Toddler Bed, has a little bench/bookshelf on the end! 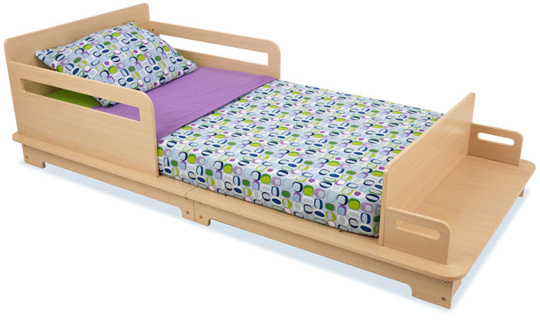 The second is a P'Kolini Toddler Bed and converts to a chair. Decisions, decisions. I found both of these super cute (and functional) beds at BedroomFurniture.com, which is one of MANY shops you will find at CSN Stores. CSN is a huge network of online stores that offer everything from kid stuff to cookware. Even better is that they are giving me a $40 CSN Stores gift certificate to give away to one of you!! Visit any of the CSN stores and leave a comment with what you'll spend that $40 on! Simple as that. For an extra entry, follow the blog! Leave a separate comment if you become a follower or are already a follower. 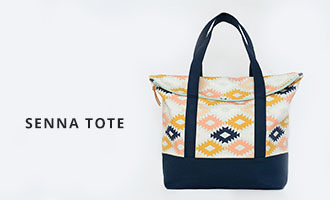 And for you overachievers, for a third chance to win, go "Like" my Facebook Fan page. Again, leave a comment letting me know you did so. I'll choose a winner via Random.org on Sunday, July 11th at 10 pm CST. PLEASE leave your email address in the comments so that I can contact you if you are the winner! You'll have 2 days to reply or I'll have to choose another winner. Thanks and good luck!!! Be aware that if the item you choose to purchase with your gift certificate does not offer free shipping, you'll need to pay for shipping. In the case of Canadian addresses, international fees may apply for certain products. Just keep an eye out for those details while shopping! i would like a nightstand, maybe a south shore smart basics nightsand. thanks for hosting the giveaway. Fun giveaway! I'd have to hit up the office supplies shops because I'm redoing my sewing room and need more organization gear! oh yeah. I am a follower! I would definitely go for the school supplies section!! Fun! I'd buy a Hamilton Beach blender. i just wanted to say that we have that first bed along with another kidkraft piece of furniture (table and chairs) and they are so sturdy and great. a little bit of a pain to put together, but well worth it. i have heard the p'kolino bed isn't as sturdy! good luck! I would put it toward the Little Colorado Nine Bin Toy Organizer. I would get some new things for the kitchen! I Like you on facebook. :) Thanks for the giveaway Vanessa!